While most major American magazines and newspapers buried or ignored news about the Nazi genocide, a significant exception was the weekly political magazine New Republic, which challenged the Roosevelt administration’s refugee policy even though it strongly supported his New Deal policies in general. One reason New Republic took such a forceful stance was that its editorial staff included Varian Fry, who in 1940-41 headed an underground network that smuggled some 2,000 refugees out of Vichy France. 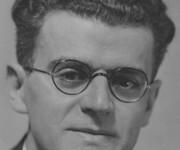 In December 1942, after the Allies confirmed that the mass murder of European Jewry was underway, Fry authored a feature article in New Republic in which he provided horrific details of Nazi atrocities, based in part on information provided by his former contacts in France. The Jewish community greeted the New Republic supplement with enthusiasm. A columnist for the Yiddish-language Morgen Zhurnal declared: “It should be in the hands of every Jew and should also be spread through the Christian world.” Jewish organizations and others purchased more than 40,000 copies of the supplement within the first week of its publication. That issue of New Republic was the highest-selling of the year, and the enormous demand necessitated a second printing of the supplement–bringing its print run to a total of 90,000 copies. Wyman, The Abandonment of the Jews, pp.63, 109, 150.